The moulds come in and out of the studio faster than I can update the website but I will put the date of the last update at the bottom of the page. Feel free to call me at 612-998-8075 or email cavepaper@gmail.com. Prices do not include shipping. The exact shipping cost will be added to the price of the mould, contact me for a price quote. Continental United States will be shipped United Parcel Service (UPS) overseas shipments will be done by United States Post Office (USPS). 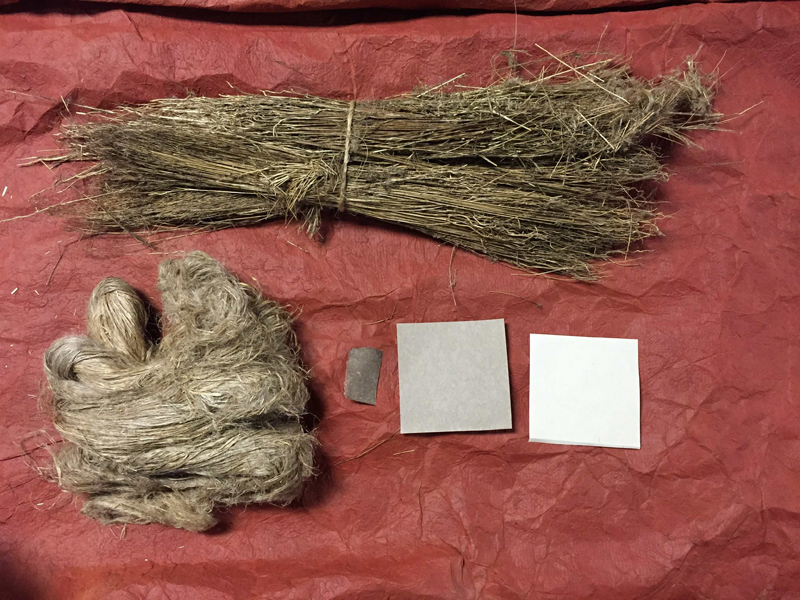 These three samples of handmade paper and two samples of flax are great teaching tools to show people what's possible with this wonderful fiber. Mailed as one unit for $35.00 plus postage. 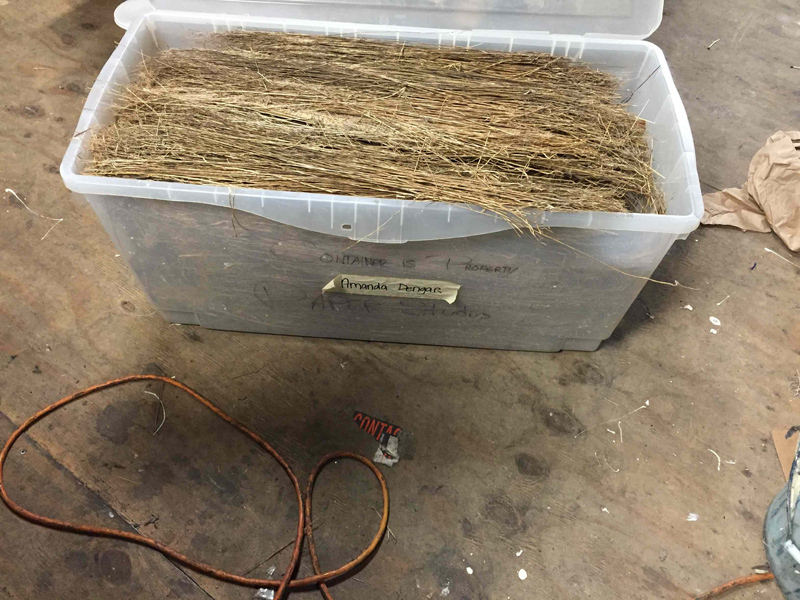 2) Canadian flax with shives removed 1 lb. Purchased from Helmut Becker. My understanding is he grew and processed it. 3) Paper samples all beaten 6 hrs in Valley slowly adding weights. Not cooked. Light-100% Belgium Flax-rinsed continuously while beating medium-unrinsed 50 % Belgium Flax/ 50% Abaca dark-100% Belgium Flax unrinsed Made at Cave Paper. You can use this as a teaching visual for students or there is enough fiber included (1 lb of flax with and 1 lb without shives) that you can process the fiber. Over 200 lbs of high quality uncut Flax fiber in ready to ship containers. I am asking $19 per lb and can sell you any quality. 3 cones for pulp spraying and two nozzles that would need to hook to your compressor.